You’ve decided to turn back the hands of time and try Botox. 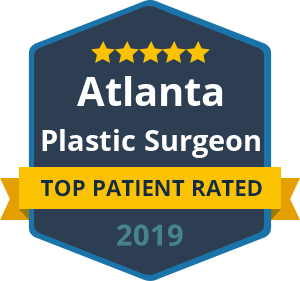 By now, you should’ve found an experienced, board certified plastic surgeon to carry out your treatment. This is the most important step, as not all “Botox providers” are created equal. In the hands of the wrong person, your Botox injections could produce far more harm than good, and/or be a waste of your time and money. While Botox is not a surgical procedure, it still deserves some preparation. Confirm that Botox is right for you – A qualified plastic surgeon will guide you into the best filler and injectable combination for your unique aging concerns. For instance, vertical frown lines between the eyebrows are effectively treated with Botox, while smile lines may be more appropriately treated by filling in lost volume in the cheeks. Skip your makeup regime – before injecting Botox, your physician will thoroughly clean and sanitize the skin. Therefore, you can save yourself the time and effort and go natural for your appointment that day. Be ready to ask questions – it is perfectly accepted and encouraged for patients to ask questions about their specific Botox treatment. You may want to know how many units you are getting? How long will it last? Is there a charge if you need a touch-up or if it wears off quickly? Remember that Botox takes about 2 weeks to see your results. If you are not satisfied with what Botox did for you by then, schedule a follow-up with your physician. A minor touch-up may be needed. In addition, if you experience any surprising or unwanted side effects from Botox, call your physician immediately. Botox is considered a safe and highly favorable alternative to plastic surgery. For an elite facial plastic surgeon in Beverly Hills who does Botox injections, call Dr. Ben Talei. You can expect natural, balanced and attractive results! « Could You Benefit From a Forehead Lift?